This year I had a goal to read 50 books, which I had assumed would be attainable since last year I successfully hit the same goal. However, I GREATLY underestimated how difficult the semester would be for me at school, and I was only able to read 37 books (assuming I don’t finish reading any of the three books I’m currently working on before then, which is not likely). So I’m gonna try to keep it brief and limit my choice to the best three and the worst three books I read this year, separated into two posts. This list is composed of three books I read this year that I enjoyed the most. 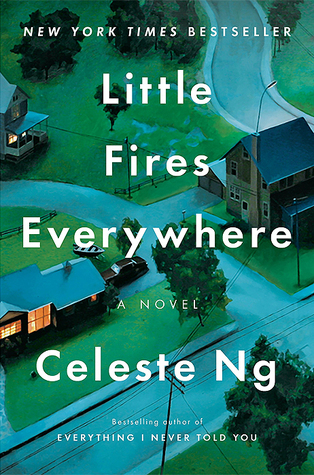 I decided to pick this book up because Joce from SquibblesReads spoke so highly of both of Celeste Ng’s books. I read general fiction occasionally but it is not typically a genre that I reach for, so I am super thankful to Joce for her content and hyping this book up for me, because it did not disappoint. I have to say that this book has one of the most compelling starts to any book that I have ever read. I really enjoy books that start off with a crazy event that takes place in the present, and then take us back to the “beginning,” or to what started it all. It’s been a minute since I read this as I finished it back in March, but looking back on my notes from Goodreads when I was reading it I mentioned the writing. That I do remember quite well, because her writing was beautiful. Ng has the impressive ability to write very compelling but easy to follow plots and characters which makes it very accessible and relaxing to read. Another thing I mentioned but cannot remember quite as well is how the book ended up being more about the people Mia and Pearl met, both in Shaker Heights and in Mia’s past, and how they felt and were changed by knowing the two of them. I especially enjoyed reading from the perspective of Elena. I feel that she had some of the best growth out of all the characters and while I didn’t always agree with her views I understood why she felt the way she did about certain things in the story. Choosing my favorite historical fiction read of the year was very difficult because I read three really great WW2 novels. This one, The Winter Garden also by Kristin Hannah, and The Book Thief by Marcus Zusak. We all know that The Book Thief is a work of art and is absolutely fantastic and do not take me not choosing it as my favorite to mean that I didn’t love it or didn’t cry like a baby at the end. 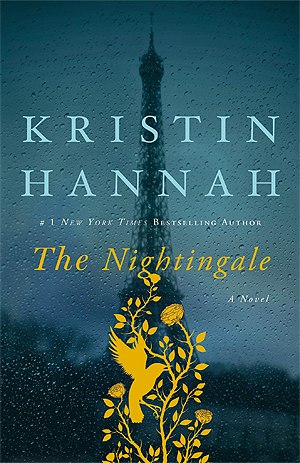 The reason I chose The Nightingale instead is because Kristin Hannah’s writing is just incredible. The way that she writes suffering makes me feel like I’m there and that I am feeling what the characters are feeling and for both this and The Winter Garden I was just so sucked in and I couldn’t put them down. These reads have definitely cemented Kristin Hannah as one of my favorite authors and probably my favorite historical fiction author. Now the reason that I chose The Nightingale instead of The Winter Garden is because I enjoyed the “present time” more in the former. Not to say that The Winter Garden was not as good of a book, because it was amazing and it also made me cry like a baby, but I really enjoyed the dual perspectives of Vianne and Isabelle, both of which were amazing characters in their own way. Ursula K Le Guin. We all know that she is a genius at writing and we all miss her presence I’m sure, at least I certainly do. I truly wish that I had read more of her books prior to her passing, or that I’d had the opportunity to meet her at one point. The Left Hand of Darkness is one of my favorite books of all time and I hope to continue reading and loving her work until I have read everything she’s ever written. 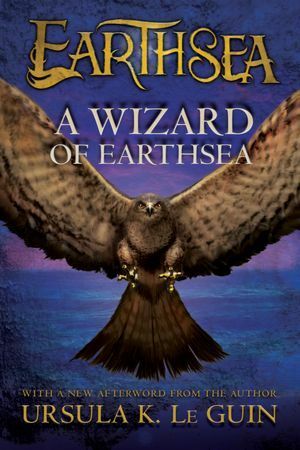 Now, A Wizard of Earthsea is a middle-grade book I believe, but it is written in a way that feels nostalgic to the effect that it does not feel completely like a children’s book. I wrote in my Goodreads review that this book feels like I am sitting at a campfire being told this story by a wise old man and that was such an amazing feeling. I haven’t had the chance to pick up any other books in this series because I don’t own any of them and my local used books store never has anything written by her (because why would anyone want to get rid of such perfection? ), but I have them on my wishlist and am very excited to eventually read more! It’s been a very long time since I read this book in January, so to be honest I cannot remember specific things that I enjoyed about this book. However, it’s the ambiance of this book, as I talked about before that it feels like being told this story around a campfire, that makes it memorable as one of my top three books of the year. So those are my three favorites out of the 37 books I completed this year. It was a good year for me, despite not being able to read as much as I was hoping, and despite how difficult of a time I had with school. But I’m proud of myself for what I have accomplished this year! I hope everyone also had a good year, and I hope for a good year to come. Previous Post Like what you see? The Nightingale is definitely on my list for 2019 because I can’t believe I haven’t read it yet!